A great product is not enough. You cannot sell or promote anything without an original and distinctive brand. 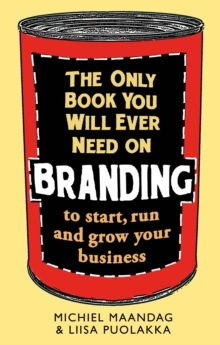 But how do you create a good name, a memorable logo and a recognizable category so that everyone understands what you are selling?In The Only Book You Will Ever Need on Branding you'll find out everything you need to know - fast. Using quirky illustrations to make its point you'll discover how to fast forward the success of your brand in a couple of hours.